Scheduling a simple coffee meeting can take days and countless emails to complete, but Dennis Mortensen wants to change all that — and more. In episode 623 of “This Week in Startups,” the founder of x.ai show us his AI assistant, which sets meetings for you like an actual human. 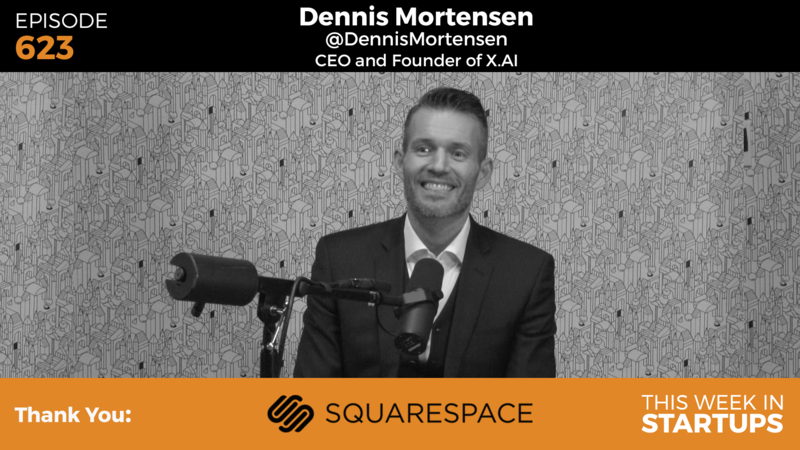 He also shares his thoughts on Siri, Echo, the Danish tax system, his vision for x.ai’s AI assistants conquering other tasks, and the future of artificial intelligence. Throughout the episode, Jason and Dennis set up a meeting with each other using Amy, the x.ai assistant. After putting Amy to task, Dennis checks out of the email chain, and it’s not at all obvious that Jason is talking to an AI. Amy can pick up on even intentionally vague prompts, and her replies read like real emails, not clipped, machine-made messages. With x.ai, Dennis is aiming to take you out of the agonizing process of setting meetings. But his system will email you for final confirmation, and you should definitely look at that message. Dennis reveals that, at one point in x.ai testing, someone got sent to the wrong branch of a chain cafe by accident. It was just in the wrong neighborhood, but make sure to double-check your emails so you don’t wind up in the wrong state. Dennis is in the process of becoming a U.S. citizen, so Jason asked him why he made the move from Denmark. Dennis explains that he wanted to experience America’s competitive edge, even if it meant giving up free healthcare and education, plus proximity to the world’s best restaurant, Noma. But now he probably knows more about the U.S. government than you! See if you can answer the sample citizenship questions Dennis shares in the episode. 5:05–8:53: Jason attempts to set up a meeting with Dennis using x.ai, while Dennis details how “Amy” learns your schedule. 8:54–10:00: Jason asks Dennis what stage of testing x.ai is currently in. 10:01–11:24: The demo continues as Jason gets a follow up email from Amy. 15:55–19:54: Jason asks Dennis to explain machine learning vs. artificial intelligence, and how x.ai differs from Siri or Echo. 21:05–22:26: Dennis explains how much of a human hand is still involved in x.ai. 22:27–26:13: Dennis shares his company’s origin story. 26:15–28:52: Jason tries to trip up Amy in their continuing email chain, then asks Dennis when x.ai will be opened up to everyone. 29:53–32:33: Jason asks Dennis how often Amy checks in with him through the process, and discusses scheduling power moves. 33:05–36:35: Jason prods Dennis for past x.ai disasters. 36:36–40:11: What’s next for x.ai? Dennis explains his long-term vision. 41:18–43:40: Jason and Dennis debate the limits of artificial intelligence, and the ethics of AI taking away human jobs. 43:44–44:55: Dennis discusses his recent U.S. citizenship interview. 45:00–48:04: Jason asks Dennis why he didn’t build x.ai in his native Denmark, and about the difference in tax systems. 48:18–50:09: Jason and Dennis continue to talk differences in Danish and American governments. 50:34–53:06: Jason asks how his actual assistant should coordinate with Amy, and about Dennis’s current customer base.